Gregory K. Jones is Senior Counsel in Dykema’s Bankruptcy and Restructuring Practice Group. 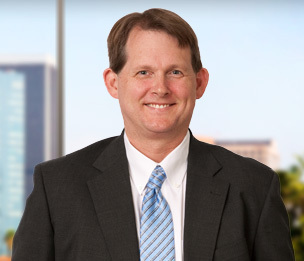 Mr. Jones concentrates his practice on bankruptcy cases and out-of-court restructurings. He represents lenders, creditors’ committees, debtors, assignees for the benefit of creditors, purchasers of assets in bankruptcy cases, lessors, and defendants in preference and fraudulent transfer lawsuits. Prior to joining Dykema, Mr. Jones was affiliated with the boutique bankruptcy firm of Stutman Treister & Glatt. Counsel in the successful Chapter 11 Reorganization of L.A. Gear, Inc. Counsel in the successful Chapter 11 Reorganization of Liberty House, Inc. Counsel in the successful Chapter 11 case of Imperial Capital Bancorp, Inc.
"Going on the Offensive: Quick and Aggressive Responses to Bad Faith Bankruptcy Filings"
"Ethical Rules that a California Attorney Must Consider When Using Social Media"